What??? Does this product stand any chance of success with teams so distributed???? My answer is YES and the reason is a ‘Flat World’. ‘Think Global’ became a buzz word when Internet revolutionized the communication landscape and set the stage for unprecedented integration capabilities. Captivated by the potential of a ‘flat world’, many large organizations embarked on a mission to serve the global market. ‘Think Global, Act Local with Your Customers’ was one of the key takeaways of the endeavor. I like calling this “being Glocal (Global + Local)”. Large MNCs realized that being customer centric was the only key to survive competition from the local markets. In the software product landscape, we have witnessed several instances of ‘Being Glocal’. You no longer have to be in the market to lead the market. Global taxi giant, Uber started their Cash Trip and Debit card options in India to thrive in the local market. Product Leaders across the globe are in similar situations. They design solutions for a market that is miles away from their home or work locations. A Product Owner in India may be designing a heath care solution for the European market keeping in mind all the European healthcare policies and compliances. With the boom in the outsourcing industry, India has proved itself to be one of the best software exporters in the world. However story so far has been in the field of engineering excellence. It’s time for India to be the thought leader and drive Product Excellence. There is no dearth of Skills and Competencies. Here are some examples to prove my statement right. Oyo, FlipKart, Redbus, Zomato, BookMyShow, UrbanLadder and the list goes on. The fact that these startups already have a Global Brand indicates that Product Leadership and Global Leadership from India is not a dream anymore. The story @ MNCs is slightly different. Product Leaders/Owners not just conceive and design a solution for global markets; they also have the need to work with geographically distributed teams. So, how does a Product Owner overcome the challenge of working with a geographically distributed team? Establish Unambiguous communication: Crucial to overcome barriers imposed by distances, time zones, languages and cultures. Constant and clear communication helps distributed teams to clearly understand the business goals and needs and work towards it. Build Credibility: As a product leader/owner, you ought to gain the trust of global teams. 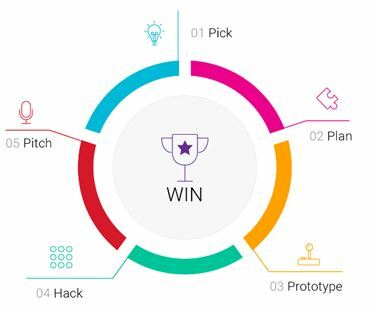 Product Owners need to thoroughly go thru the productizing process, be it working on a road map, or building a business case or even just maintaining a legacy product/service. This helps gain credibility among the team members. Bridge the Cultural Gap: Product Owners need to keep in mind the cultures of not just the customers but also the scrum teams. These influence the team dynamics and collaboration. Your US teams might be open to have skype calls or whatspp conversations to collaborate while your European counterparts might prefer formal email communication or planned meetings. Go Social: With tools like LinkedIn, Chatter, Jive and so on global customer reach is no longer a challenge. Same applies to the globally distributed teams as well. There are enough virtual collaboration tools around to experiment. You need not necessarily be an MNC to procure an enterprise license and use social tools. You can just do a “Hangout” with your team. If you are an Indian company, “Sab se bolo” is of great help for you to run your team meetings and even record them…all for free..!! Maintain Shared Community: Have a common place for all the team members to access key project resources. This brings in transparency and lets your distributed team establish a harmony while working. And again…you can go as expensive as an enterprise could or as simple as a Google Drive or a Dropbox…all you need is a shared platform..! Plan, Plan and Plan: This sounds too obvious and simple but putting this into practice gets us into complexity. You will have to plan a meeting with your remote Sales team on a late evening when your kid wants you to join and watch her favorite show on TV or your spouse could be waiting for a candle light dinner..!! As we find overlap across time zones to meet our collaboration needs, we tend to step on our personal spaces too. This is a part of the game and balancing act is the crux. Now the positive side of the story is. The no. of times you dial into a conference line to be one among the 100+ people from across locations to hear your product leader share the next fiscal vision comes down drastically. Your meetings are all planned, crisp and with a very specific agenda. You are the Leader and you take control. My favorite quote from the Spiderman series – With great power comes great responsibility and I’m game for it! Are you?? 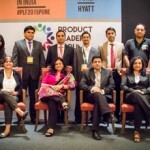 It is possible for Product Leaders in India to have successful stints in a ‘Flat World’. This is my story and I’ve made this work in the environment I’m in. There are successful Leaders who have pioneered Global Intrapreneural roles and have tricks in their arsenal that can help you! They will be sharing these on a platform called Product Leaders Forum on 30th Oct 2015. Have you registered yet? Register today to avail early bird discounts! by admin	September 22, 2015 0 Com.